New Guinea warriors used cassowary bones and human bone daggers that they made using the bones from their ancestors’ thighs, researchers said in a recent study. These daggers were the weapon of choice for ancient warriors, who used them to stab their enemies in the neck so that they could kill them immediately. New Guinea warriors often practiced cannibalism, so they stabbed enemies they would rather eat in the hip joints, knees, or ankles. Researchers decided to study these human bone daggers, and they used imaging, computer simulation and various stabbing tests using daggers made of bird and human bones. They published their findings in the journal Royal Society Open Science. 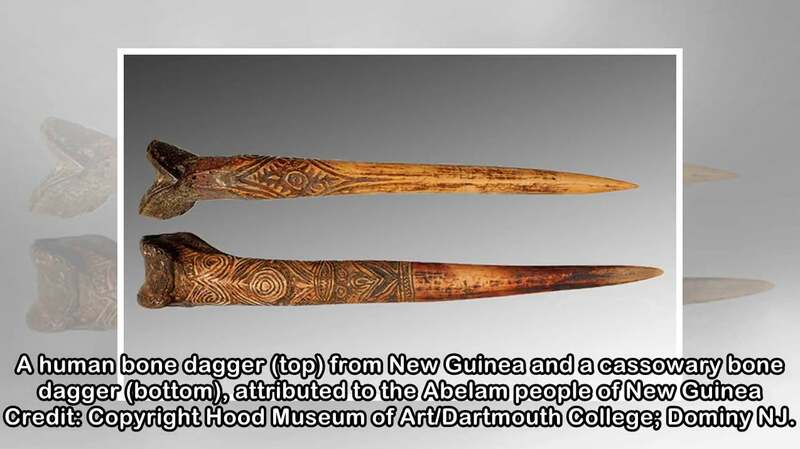 The researchers were studying daggers that were made out of human thigh bones and the bones of the cassowary, which is a flightless bird that’s native to New Guinea. Although there are some dwarf cassowaries on the island, most species are quite large, with the southern cassowary being smaller than the emu and ostrich. Cassowaries are known for their aggression toward humans, although New Guinea warriors successfully captured and gifted these creatures. Human bone daggers are of incredible value and are quite rare, which is why the team used a CT scanner to simulate stabbing motions. The team successfully scanned 10 daggers and also gathered a modern cassowary dagger that dates from the 1970s. To test the dagger, the researchers stabbed it through urethane and bent it until it eventually broke. New Guinea warriors used cassowary bones because, unlike the bones of many flying birds, which are hollow, cassowary bones are much denser and similar to human bones. The researchers used this similarity to practice cassowary stabbing and use the data in computer simulations of the scanned human bone daggers. Based on the findings, the researchers suggest that human bone daggers were carved to preserve the natural curve of the bone, which explains their vast strength. “When men are shaping the dagger from a human femur they retain a lot of the cross-sectional curvature,” Dominy told The Washington Post. Since there are several striking differences between human bodies and those of cassowaries, it is logical that the shape of their bones should also differ. Since the curvature of the human bone daggers was greater, they would hardly bend or break. As the authors explained, the daggers made out of human thighs were more stable and designed for the task of stabbing. The flimsier structure of the cassowary daggers suggests that people with lower social status used them instead. Dominy also suggests that cassowary daggers could put priority on comfort rather than strength, while human bone daggers were made to last longer.